Alright, so I’ve been really into weight lifting and watching other body builders and trying to get myself motivated, when I noticed that they all count “macros”, so I decided I was going to start counting my macros too. I really didn’t know too much about them, so I did some reasearch and found some articles on Bodybuilding.com about it , I even downloaded some apps on my phone to help me figure out exactly what macros I was going to need for my body weight. Which has sadly gone up the past year. Yesterday was my first day tracking my macros, what I discovered was, even though I had THOUGHT I was eating a lot of protein, I wasn’t. Below is the chart, the top line is what I ate, the bottom line is what they told me I need to eat in order to lose weight and gain muscle. (If you know anything about macronutrients, it just told you how much I weigh, so, there’s some honesty). 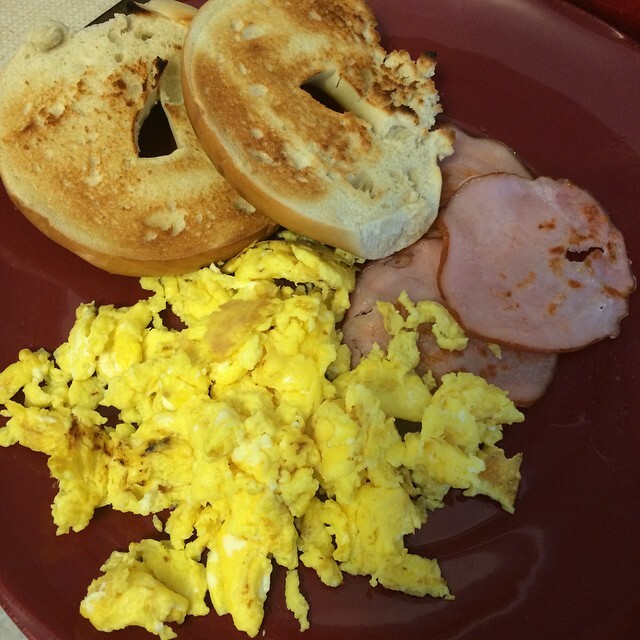 Today, I tried to make a super protein breakfast, 3 eggs, 3 pieces of canadian bacon and 1 bagel (which surprisingly has 10g of protein in it). That’s when I quickly realized there was no way I was going to be able to get the required amount of protein in per day without some help. With all of that protein, which was 38g of protein, I still have 192g of protein to go. But I have to be honest, even though I’m suffering from a miserable cold, eating all of that breakfast food made me feel way better. I didn’t finish the bagel though, I felt like I was on Man vs. Food trying to eat all of that. Which really goes to show that I wasn’t eating enough in the first place, which means my body was/is probably in starvation mode, hanging on to all of the calories as fat. Yuck. Anyway, as far as the help for protein goes, I’m turning back to my trusty Jay Robb Protein Powder. There’s no crap in it, it’s GMO free, it tastes great, it is sweetened with stevia (which is a plant) which I am normally allergic to, but for some reason when it’s mixed in with this powder it doesn’t affect me, so I’m guessing that it’s just a small amount that is in it. So that’s what I’m up to these days, what about you? Today I bring you an Avocado Tip! 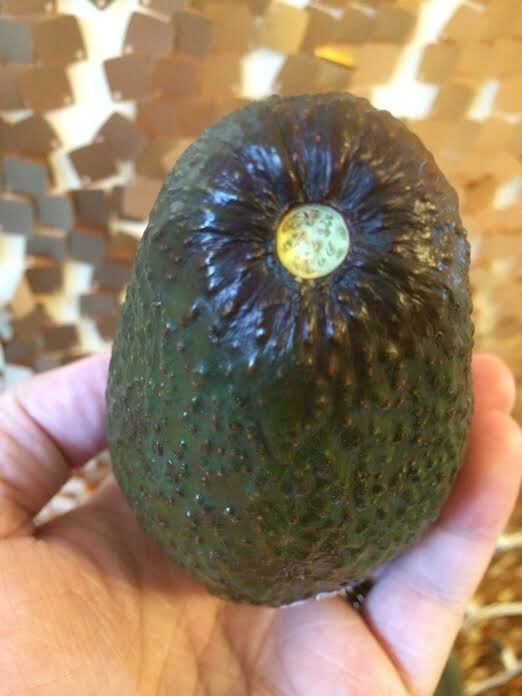 Haha, so here’s a fun little tip for you, you know how on the end of an avocado there’s that little bulb tab thing? Pull it off. If the inside is green like this picture then it’s the perfect time to eat! If it’s dark brown/black that means it’s overripe and should be tossed! Now you can enjoy the perfect avocados all of the time, you’re welcome.